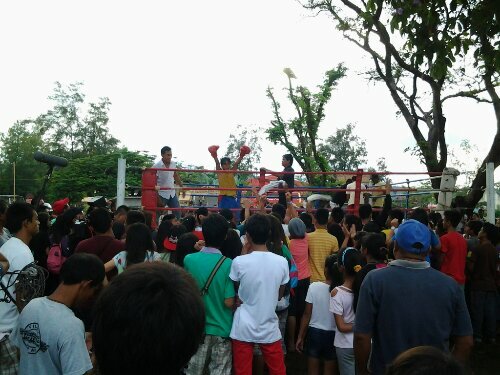 More details from the life of our “Pambansang Kamao” is now on film. 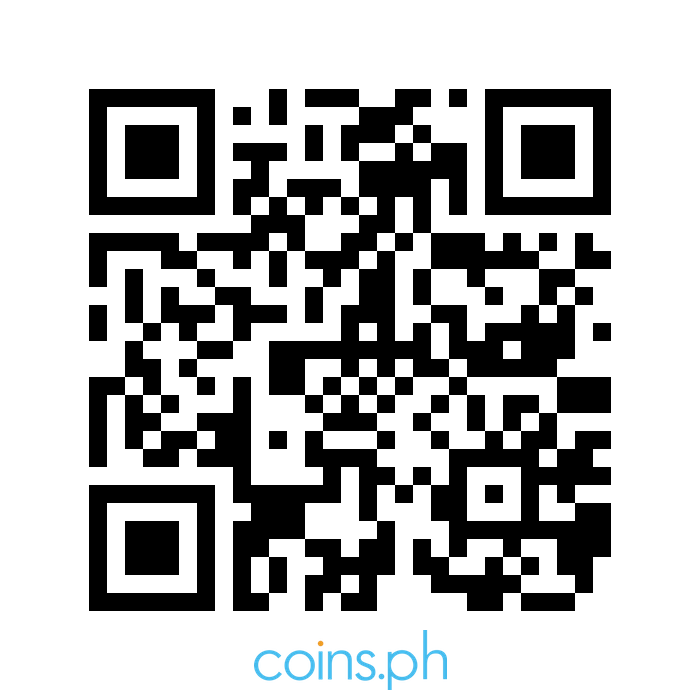 Knowing Pacman’s career started in rags to riches stories. 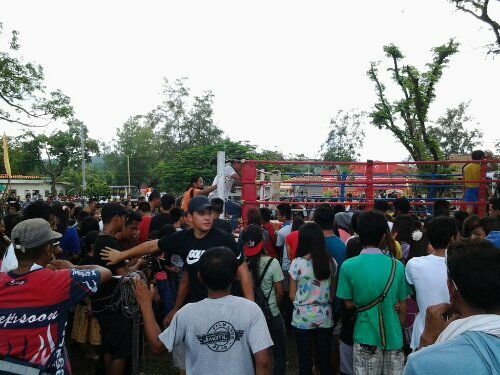 Part of the scene, Ceasar Montano is yieling for the victory during the shooting at Oval Plaza, Glan, Sarangani Province. 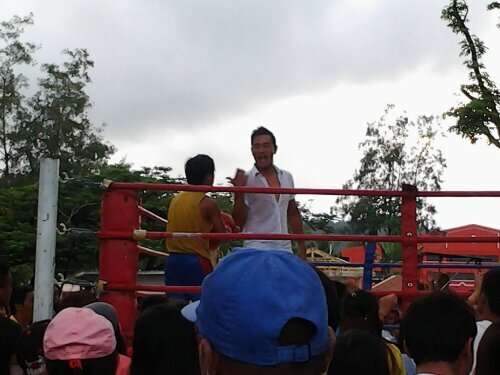 Robert Vilar a.k.a. 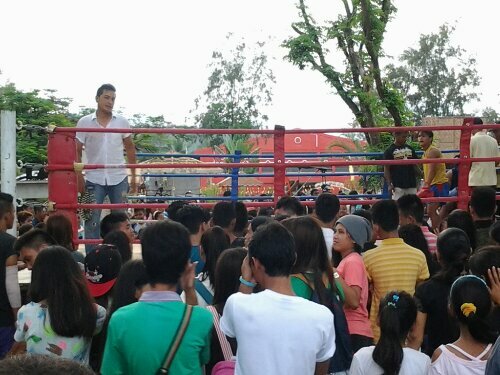 Bugoy in the movie “Ang Panday” plays the role of young Manny Pacquiao. Expectators piled up during the shooting on Tuesday, August 19, 2014. 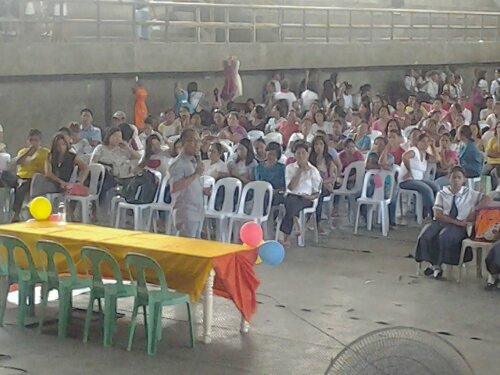 The crowd and the production team of the movie. 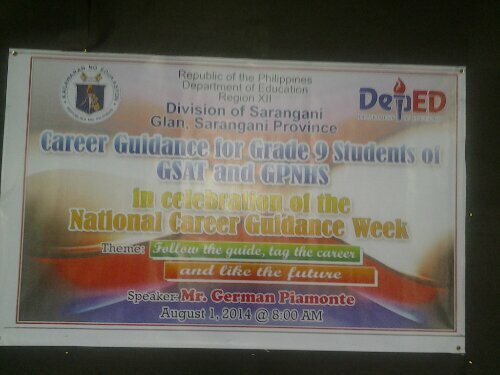 As posted: Career Guidance for Grade 9 Students of GSAT and GPNHS in celebration of National Career Guidance Week. 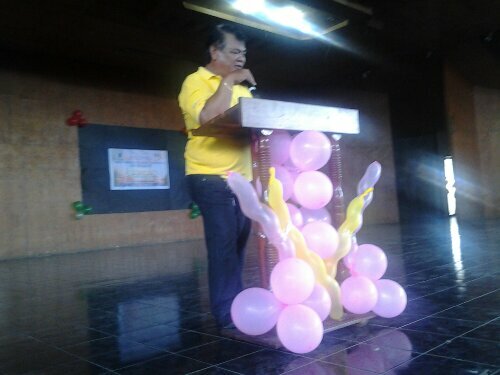 Mr. Renato E. Tamine welcome the parents of Grade 9 students. 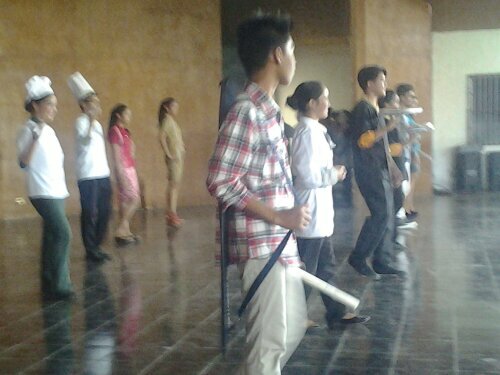 Students showcase thier chosen career. 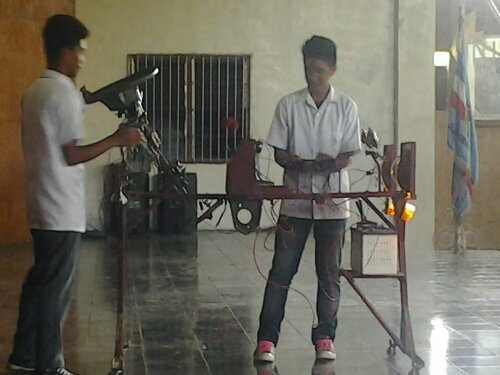 Two students from Glan School of Art and Trade demontrate their learnings in automotive. 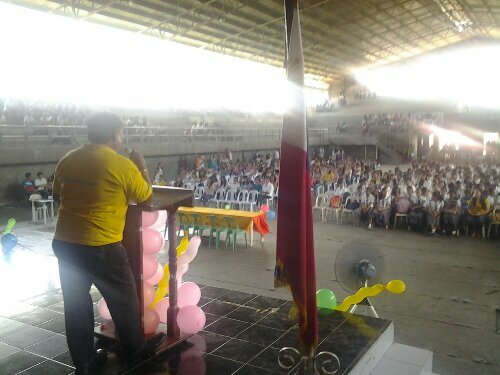 (Near the table, holding the microphone) Mr. German Piamonte tackles the implementation of Grade 11 to his school at Kling National High School, Kiamba, Sarangani Province. 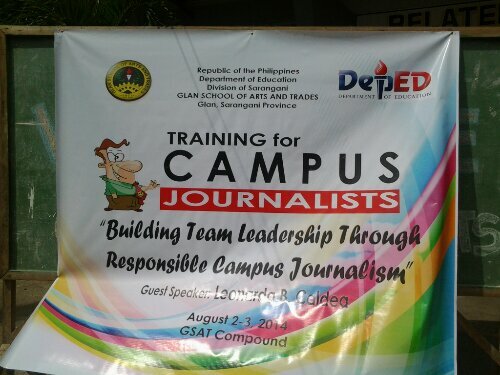 Tarpaulin is posted at the lobby. 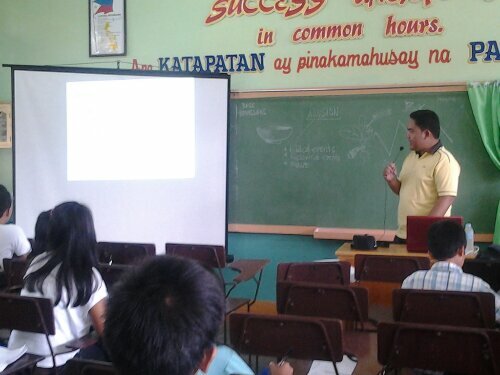 Mr. Ariel C. Lalisan talks on Collaborative Journalism. 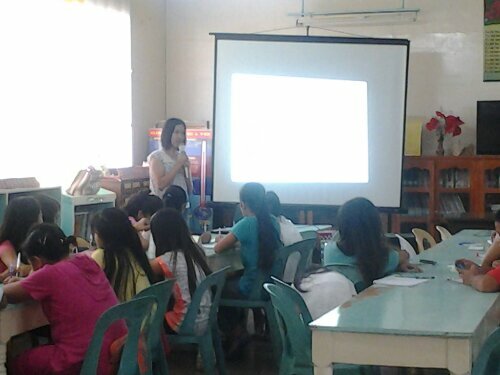 Mrs. Lodgin L. Leano shares her expertise in radio broadcating. 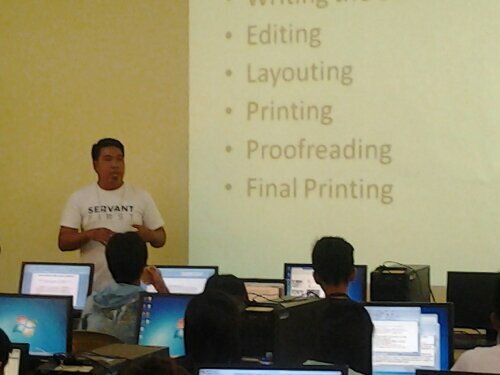 Mr. Bryll O. Regidor emphasizes on writng novelty lead in sports writing. 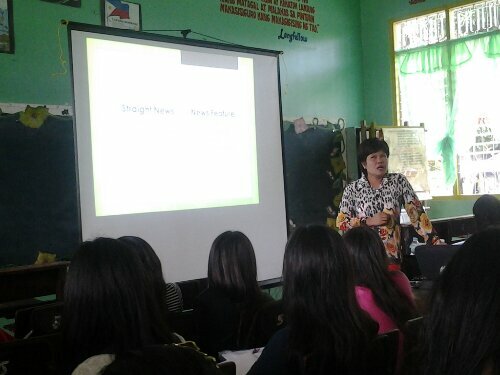 Mrs. Annabel D. Erolon explains on the various elements of news writing.